This tip is meant as a short tutorial on seam tape and how to apply it in your sewing projects. 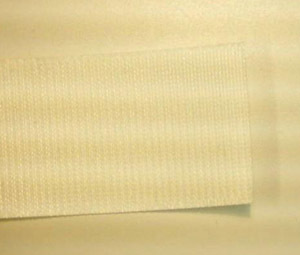 Seam tape is one method to stop water from coming through the seam and needle holes made when sewing coated waterproof fabrics, such as Gore-tex, Finlayson Action, Ultrex etc. Seam taping is not necessary on water-resistant and fleece materials, as water will come through the fabric before the seams. Of course, if not interested in 100% waterproofness then tape can be left away, but then you might as well use a more breathable, water-resistant fabric! Cheaper and less sweaty. 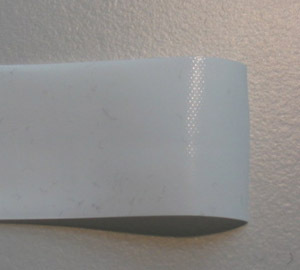 Tape comes typically in widths of 20-25 mm, but is sometimes available even in 50 mm widths. A heat activated adhesive is on one side, and a waterproof membrane on the other. Seam tape for three-layer materials is special as it also has a fabric layer to protect the tape and reduce friction. The adhesive layer is also thicker so it fills the more porous inner surface of 3-layer fabrics when attached. When possible, it is best to use tape from the same manufacturer of the fabric being used. This usually gives the best result. The easiest way to include seam tape in your project is to apply it each time you finish a seam. Trying to apply tape after your project is finished is very difficult. Now we will walk through some basic instructions for tape. Straight seams are easy, curved seams more difficult. Be prepared to spend some time here. You will need a basic clothes iron, a table or preferably ironing board, and some baking paper. Using the baking paper between the tape and iron avoids getting sticky glue on your good iron! Baking paper may not be needed for 3L tape. About 80 deg centigrade is enough for 2L seam tape, and around 125 deg for 3L. This is setting 1-2 on many home irons, but experiment to get it right. Be careful not to melt your fabric. First cut any excess seam allowance so that there is more area for the tape to stick to. Cut a piece of tape a bit longer than the seam. One side of the tape has a layer of adhesive, this side is placed against the seam. Place the tape centered on the seam, adhesive side down. Starting from one end, place the baking paper over the tape and heat with the iron for a few seconds, then lift. You should be able to see that the glue is melted and the tape is in place. Otherwise you should try heating longer or with a higher heat setting. Move along the tape, not sliding the iron but lifting between sections. After the whole seam is done, go over it again to be sure it is secure. You may need to iron each side of the seam separately. Curved seams are more difficult. 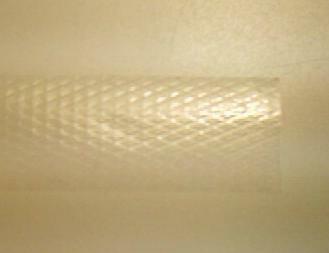 Usually making small cuts in the edges of the tape will help around curved. Once tape is applied, don't try to pull it off, you may damage the fabric's coating. Over time seam tape may start to leave from a seam, this can be fixed by re-heating the seam - but usually correctly applied tape is very durable. After letting cool completely, check your tape again make sure you have good adhesion.